Only 12% of girls in England aged 14 meet the official guidelines for physical activity, compared to about 24% of boys the same age. What should be emphasised however, is the fact that the same data expresses the fact that 74% of girls in this age group desire to be more active. When it comes to golf, worldwide over 25% of golfers are females and vary in age, with the UK figure lower still at 16%. Even with UK clubs starting to focus more on encouraging women into golf, females are still severely underrepresented in the sport. 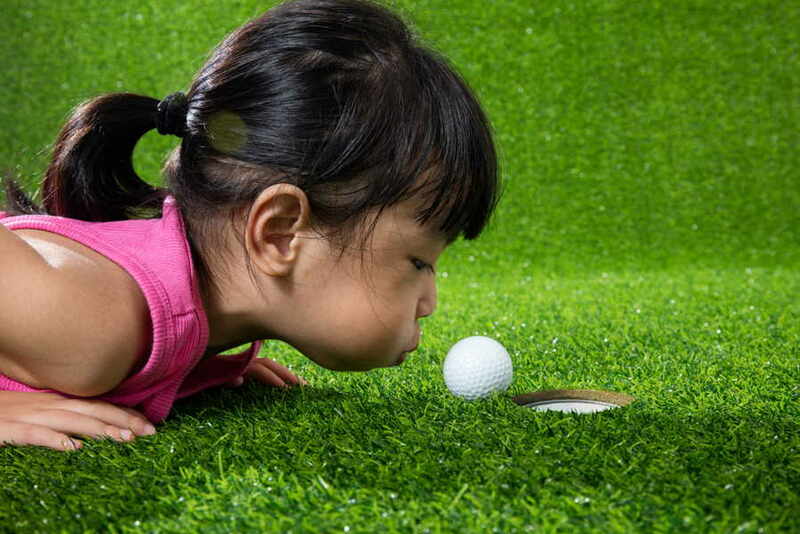 In the context of this inadequate representation of girls and women in golf, it’s important to take every opportunity to provide them with as much information as possible in order to make their introduction to the sport straightforward and effortless. What follows is an overview of all the different types of golf clubs available for women and recommendations as to what the best beginner golf clubs for women in each category are. Furthermore, because graphene is not only lighter but also more flexible than the materials used for men’s clubs, women golfing with clubs designed for their gender also have the added benefit of shock mitigation. This should, at least in theory, lead to milder swings in terms of their impact on the golfer’s body. Keep these differences in mind when deciding on the best golf clubs for beginners. Woods feature more elongated shafts and bigger, more rounded heads when compared to other club types. These characteristics make woods better suited for positions where the golfer needs the ball to travel further in the air than it would when using other club types. Woods are numbered in ascending order, starting with the 1-wood driver, and can be part of either of two categories: drivers or fairway woods. For women who are just now taking the first steps in their golfing career, the driver, or 1-wood club, as it used to be called, is regarded as one of the most difficult clubs to become proficient in. The size of the club, about 44 inches on average for ladies’ drivers, makes it one of the longest clubs you’ll find in a typical golf bag. Thus, maintaining control of your swing will be a challenge when starting off with the driver; it’s notorious among novice golfers for leading to awkward swings. When compared to drivers, the smaller heads and shorter shafts of fairway woods tend to lead to the golfer having more control over the swing. Because of this, beginners are frequently urged to use a fairway wood to start off their round or hole of golf. Another important difference between drivers and fairway woods, and one which is important for novice female golfers to be aware of relates to loft angle. Loft angle is a measurement referring to the angle formed by the face of the club and the shaft. This measurement determines the range of distance your ball will travel and the type of trajectory it will follow. A lower loft angle translates to larger distance travelled and a smoother trajectory, while using a club with higher loft will shorten the distance travelled by the ball, in the same time causing it to move up and down more abruptly. Drivers are the lowest lofted clubs in a golfer’s bag while fairway woods have progressively higher loft angles. A women’s golf bag belonging to a beginner who is just learning the ins and outs of golf should contain one driver and one or two fairway woods. The shaft is the most important part of the wood. While a proper shaft can increase both distance and accuracy, a lower quality one can lead to reduced distance as well as other inconsistencies in your game. For this reason, the recommendations which follow focus on shaft quality and loft angles which cater to beginners. The adjustable 12.5 and 15.5 loft angle makes the Callaway Rogue Driver extremely versatile. It allows for both high distance, smoother shots off the tee or lower distance, sharper trajectory shots when you’re on the fairway but still need to get distance on your shot. The TaylorMade M5 Drivers use TaylorMade TwistFace technology which makes leeway on off-centre hits as high as possible. Not only this, novice female golfers will also benefit from the higher ball speed delivered by the M5 compared to the earlier M3 model. Furthermore, efforts have been made by the manufacturer to move the weight further back in order to lower the centre of gravity as well as increase the MOI. This has been accomplished by placing the new T-Track system at the back of the head, instead of at the front as it was in the TaylorMade M1 model. With the Women’s King F9 Speedback there are 3 fairway woods to choose from. The 3-4 fairway gives loft settings between 17 & 20 degrees, the 5-6 fairway wood 21 to 24 degrees and the 7-9 fairway wood 24 to 27 degrees loft. All 3 of the woods offer a draw bias setting on some of the loft settings. Highly adjustable and versatile, this club is an excellent addition to any female learner’s golf club collection. It also offers a rose gold Lamkin Crossline Connect grip, perfect for dazzling the competition while you keep hitting birdies and eagles. TaylorMade have created their M6 Fairway Woods with high play-ability and increased optimal distance in mind. These objectives have been achieved by equipping the M6 with a larger carbon crown and deeper face when compared to earlier TaylorMade fairway wood models. A perfect club for beginner lady golfers, the M6 has also been designed to perform better on off centre due to improvements in the Speed Pocket and to have better turf interaction due to the new TPU slot insert. Furthermore, through the custom fitting service offered by Golf Support, experienced members of the Golf Support team can identify the right woods for you. Golf Support guarantees that your driver will be custom fit to your personal requirements, that they won’t be beaten on price, and that you will be able to specify certain elements of your fairway woods. Irons feature thin clubheads which are fluted so as to make the golf ball spin once the golfer makes contact. 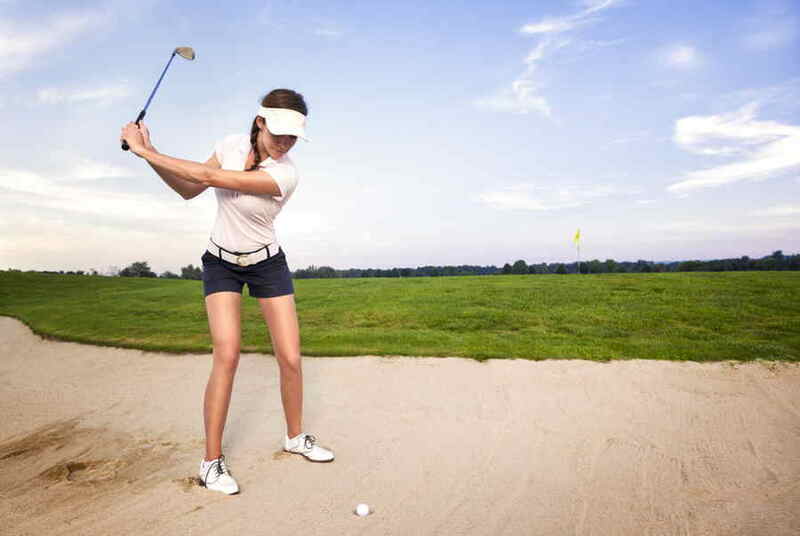 Learner lady golfers should opt for the “cavity back” style irons. These irons feature a clubhead which is hollowed out to a certain degree, in order to allow the golfer to position the weight of the club head around the perimeter of the club instead of at the centre. This is known as “perimeter weighting” and is designed to allow initiate and average golfers to enjoy their best possible game, giving them more room for error. If you’re a lady who is thinking of putting together her first golf bag, you should definitely consider adding some of the above-mentioned irons to the mix. For novice women golfers, the choice between steel or graphite irons is a straightforward one: graphite shafts are lighter and using them leads to an increase in swing speed as well as distance travelled. The new Wilson D7 Iron Range offers great value for money and will appeal to golfers of any standard. It’s a great option for beginner women golfers as the 3 rows of holes in the longer irons generate improved distance, while the shorter irons provide more accuracy around the green. 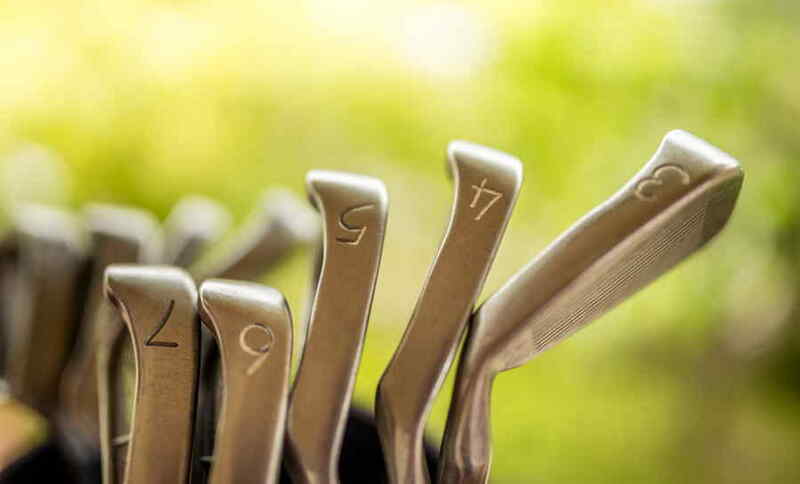 Golfsupport offers a custom fitting service for the D7 range, which allows customers to customise their irons according to their specific needs. The New Speed Sole technology of the Wilson Staff D250 Graphite Irons aids fairway glide, and the innovative slim design of the face amplifies the sweet spot in order to improve performance. This makes it a perfect iron for beginner lady golfers. Hybrids are typically designed to replace long irons (numbers 1 to 4) in a golfer’s bag since the low trajectory and small face of the low loft long irons makes it difficult for beginners to use these clubs. Many novice golfers replace the long irons with fairway woods. However, as we have already seen, the longer shaft of the fairway woods makes for a steep learning curve in terms of swing mechanics. This is where hybrid clubs come in. For ladies just kicking off their golfing careers, female hybrid clubs offer the most advantages. As their name suggests, hybrid clubs combine design elements of both woods and irons in order to offer the best of both worlds. Their expanded surface area makes it much easier for beginners to hit the ball cleanly, at the same time reducing the drift of the ball once it’s been hit. Hybrids provide a whole host of advantages to novice women golfers. They can tighten your swing, diminish the consequences of mishits, and even give you more control over the direction of your strokes. Hybrids featuring larger clubheads are often used for shots that need to travel large distances and which are taken from difficult rough. For beginners, any shot where you would normally use a long iron, but just don’t feel comfortable doing so, can be taken using a hybrid club. They can also replace fairway woods in your bag, but it’s important to keep in mind that while fairway woods do have higher club speed, it is difficult (sometimes impossible) to use the long-shafted clubs in places with less room for an ample swing. Replacing a few of your long irons with hybrids is a must if you’re just getting started. Hybrids are the best beginner golf clubs for ladies due to the fact that they are made in order to minimise the negative effects which long irons have on beginner’s games. Long irons will be your worst nightmare until you get the hang of them, so use hybrids for a more forgiving, easier swing. The Callaway Rogue X is the most powerful hybrid that Callaway has ever produced. The Rogue X hybrids have a very low centre of gravity and are easy to launch with a straightforward trajectory. Perfect for beginners, it offers excellent consistency, power, and accuracy. The club is forgiving, and it makes trajectories and launch angles easier, thus promoting the novice’s confidence. The Wilson Staff C300 Hybrid seems to have been made especially for ladies just starting to play golf. It has the biggest sweet spot of any of the Wilsons Hybrids. The technology behind this club has allowed the sweet spot to be enhanced across the complete face of the Hybrid. Wedges, designed for shots from 120 yards or closer, have the highest loft angle of any golf clubs. 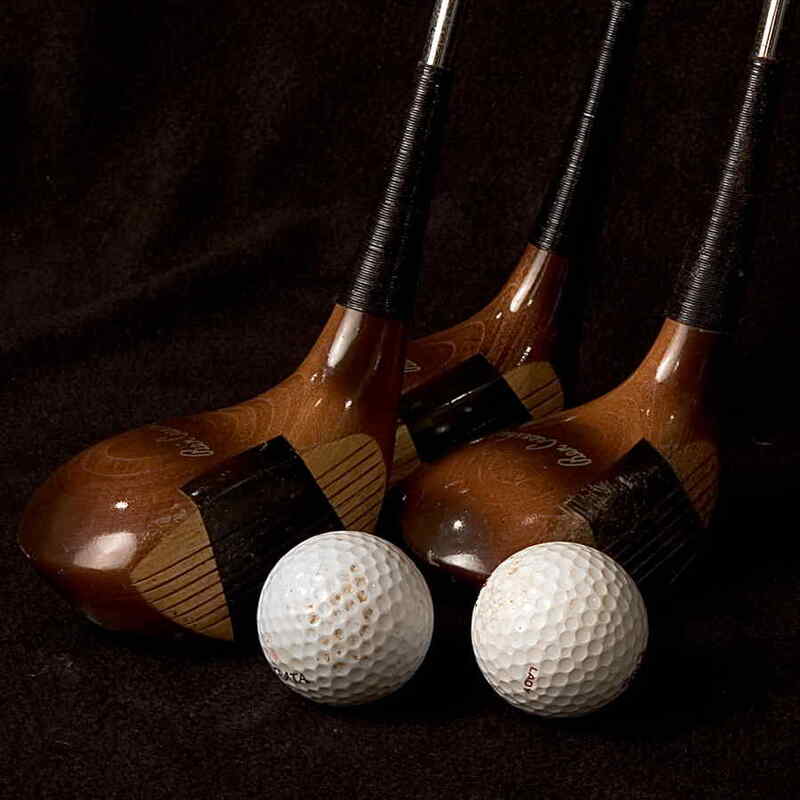 They are typically used for any type of shot for which the golfer needs the ball to ascend and descend abruptly. When it comes to choosing wedges for female golfers, the pitching wedge (which we’ve already talked about) is the only one you need to worry about. The pitching wedge is typically about 48 degrees in loft and is the lowest lofted club out of all the wedges available, while also being the highest lofted iron in a standard set. Wedges are useful when you are closer to the green, in situations where increased shot control becomes more important. The new Callaway Mack Daddy 4 Wedges feature an exceptional sixteen groove pattern with a small groove near the leading edge. The groove pattern as well as the small groove add to the control you have over your shot. Furthermore, the microgrooves located inside the aforementioned grooves provide even more contact points upon impact, lowering spin. The midsole of the TaylorMade Hi-Toe Wedges has been designed to inhibit excessive digging. The channel cut into the midsole of the club separates the bounce surface of the sole by effectively creating a double sole, thus solving the problem which many beginner golfers encounter when using wedges. Putters are golf clubs which feature a smaller, thicker head which is somewhat bent from front to rear. They are used to send the ball on a low-speed trajectory towards the inside of the hole from a short distance away. 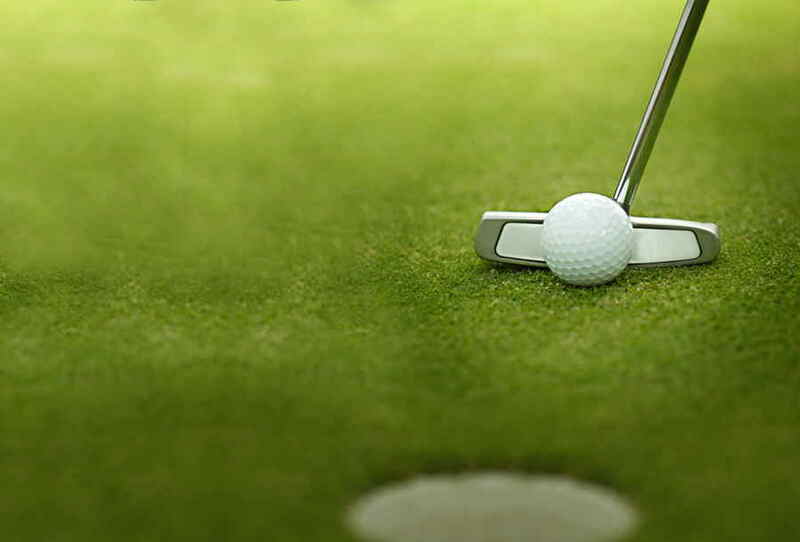 The putter is perhaps the most important club in your arsenal as a beginner. 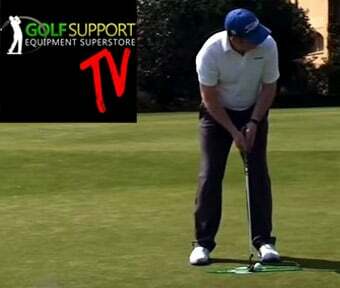 The best way for novices to improve their golfing scores is to increase one-putt frequency. The best way to ensure that your putting practice is efficient is to purchase a putter that you can easily control the distance of your putt with and which you can effectively use to aim at your target line. Choosing a putter is a very personal process and I encourage learner lady golfers to start off with a cheap putter and buy a more expensive one as they move forward. The high moment of inertia (MOI) of the TaylorMade Spider Tour Diamond Silver Putter makes it perfect for the novice female golfer. A high MOI translates into higher stability and more resistance to twisting; this in turn makes the ball travel faster and straighter. Beginners will benefit most from the consistency which this club can bring to anyone’s game. The design of the Taylormade Spider X Single Bend Putter features angled indentations on a thick face insert which reduces both back spin and drag. The carbon sole plate and weighty steel frame allow for a higher moment of inertia and a more stable stroke. Furthermore, novice female golfers will find that the True Path alignment of the Spider X makes it extremely straightforward to line up tougher putts. When choosing the best women’s golf clubs for you, it is important to keep in mind that cheaper options might be better when getting started. You can always make the move to a more expensive club once your game improves, and by then you’ll also have the added benefit of knowing what you want in a club. Novice female golfers could also consider buying a package set since the initial outlay is not as expensive. A package set is great for beginner golfers as it allows them to sink their teeth into the sport without spending too much. If you opt for a package set, you can slowly start upgrading the clubs in your collection as your game improves. Another good option would be to buy second hand golf clubs. Pre-owned golf clubs are a cost-effective option if you’re looking for high quality clubs that won’t break the bank.